It’s a case of ‘second time lucky’ for one of the world’s newest and most exciting jet fighters when it makes a welcome return to the Cotswolds this summer – two years after its planned UK debut appearance was rained off. Now the aircraft, from the US Air Combat Command, will be returning to the Air Tattoo on July 17&18 to demonstrate why it is capable of outperforming any existing fighter aircraft in air-to-air combat. 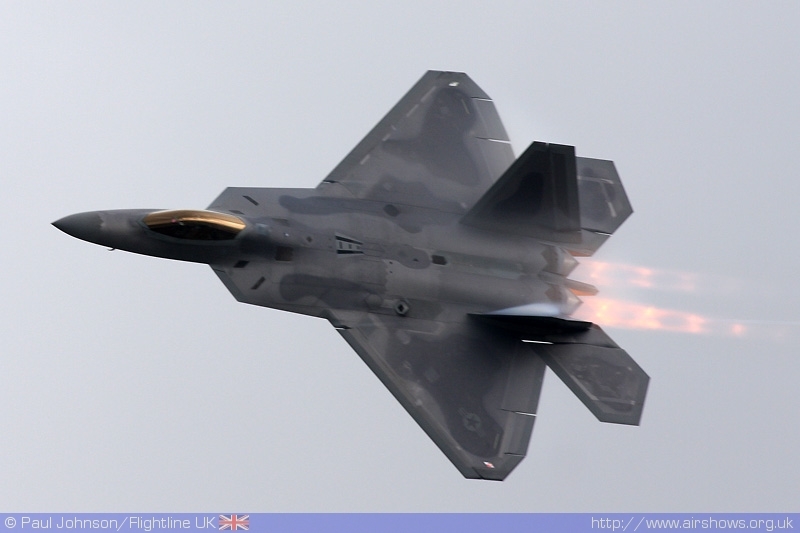 The Raptor represents a new generation of fighter aircraft incorporating state-of-the-art stealth technology, sophisticated weaponry and vectored thrust giving it an unrivalled combination of secrecy, power and manoeuvrability. Air Tattoo Deputy Director of Air Operations Robert Windsor said he was delighted to see the aircraft return to perform at the Air Tattoo.